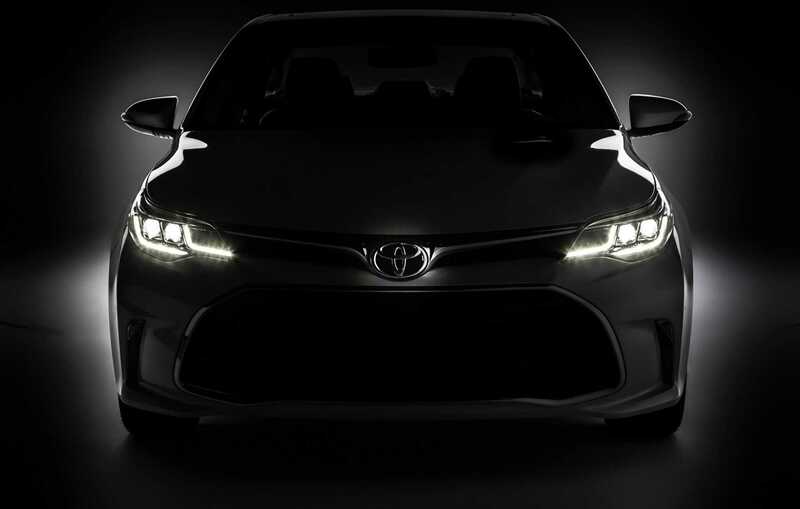 The 2018 Toyota Camry is about to get launched at the Detroit auto show and the car was officially revealed by the automobile company in a teaser photo. Camry is easily the most successful series from Toyota and the model is about to enter its eighth generation. It will be showcased for the first time at the 2017 Detroit auto show scheduled to take place in the month of January. With just a month to go, the auto brand has decided to start giving glimpse of their revamped design and the car’s specs so as to keep the crowd on its toes. 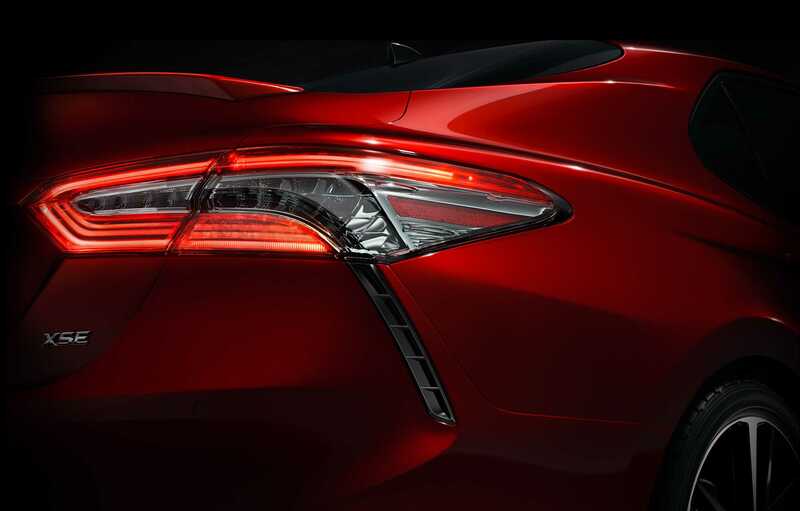 The tail light of the car is the only part that is shown in the image but the sleek design and the stylish presentation adds much hype to the new facelifted Camry. The photograph depicts the XSE model which belongs to the sporty edition and it cannot be used to evaluate the entire Camry lineup that Toyota plans to bring to the stores. There is a rear bumper cap, lip spoiler and vents but it is tough to deduce what they actually do. From the picture, it looks more of a showpiece than something that contributes to performance of the car. However, without the engineering team confirming the fact, we cannot come to a conclusion at once. A part of the car’s roofline is visible in the teaser image that suggests it may feature a steep roof which is stylish but usually compromises on the rear passenger seat space. If the people at Toyota manage to bring in the style quotient with ample space inside, they probably would have made the best car of the year. And, an interesting factor is the car is scheduled to get launched in 2018. The year has gained so much prominence in recent times because it is when at least two dozen models including those from Rolls Royce, Tesla, Nissan, Chevrolet and Porsche are about to get launched. There is still no word on the 2018 Toyota Camry powertrain options but it should be announced during the Detroit motor show. The car enjoys an amazing position in the market despite increasing competition from Nissan Altima, Honda Accord and the Hyundai Sonata. If they nail the new Camry with striking design, performance and the right price tag, it would take another year or more for Toyota’s competitors to try and beat them. The reveal is real close and we can’t wait!